Delivering expertise and experience in apprenticeship an traineeship employment services within local government. LGGT’s story is one of development, re-imagining and new beginnings. Drawing from close to 40 years of experience in group training and workforce development services through its parent company Novaskill, LGGT delivers apprentice and trainee programs specifically designed for local governments. Local governments are the lifeblood of communities across Australia. More than ever local councils are tasked with a growing number of responsibilities. With budgets tightening and amalgamation continuing, local governments require new solutions to improve outcomes. Within this rapidly changing environment, strategic workforce development is a key factor in the future success and growth of councils. As a partner to local government, LGGT implements targeted programs specifically aimed at meeting workforce challenges like ageing and gender imbalanced workforces, a lack of cultural diversity and skill shortages. 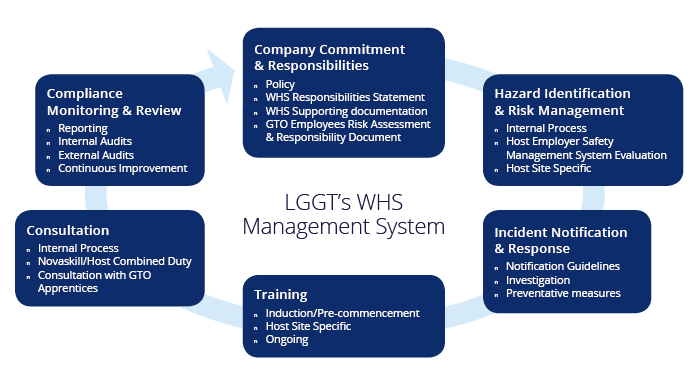 LGGT means Local Government Group Training. We are a non-profit organisation, founded with a sole purpose to deliver group training and workforce development solutions to local government. Our approach is born of 38 years as a leading group training organisation in Australia, and within this rich experience, a deep understanding of our local government partner’s needs has evolved. We combine the experience and assets of our parent company with ground-breaking service delivery practices to produce an industry leading model for recruitment and management of apprentices and trainees. Most importantly, we are local and exist to support our community and enrich people’s lives. We share your commitment to strengthening communities and understand that offering apprenticeships and traineeships to local people delivers immeasurable benefits to our municipality and society. “86% of councils in NSW were experiencing a skill shortage and 69% were experiencing skills gaps”. Job matching candidates with opportunities is the foundation to success. Finding the ‘right person, every time’ is no accident; our highly skilled team utilise job and candidate profiling systems that are the best in the business. We know that supporting apprentices and trainees through their journey is the difference between a lasting career and a short-term job. Balancing work, life and studies is a huge challenge; we’re there to guide, mentor and support 365 days a year. Long-term careers for council employees start with an LGGT apprenticeship or traineeship. Our objective is a “Zero Harm” safety culture sufficient to at all times minimize the risk, number and severity of incidents. We encourage open communication between all stakeholders and systematic reviews to develop, continuously improve and maintain an effective WHS management system. We fully appreciate the responsibility we have to utilize our position within the training and employment sphere to be a source of WHS information and constantly maintain the pursuit of excellence in Safety. “54.5% of councils surveyed in 2017 indicated they did not have enough trainees/apprentices to meet their future skill needs”. Our services are superior in comparison to direct hire and management of apprentices and trainees. 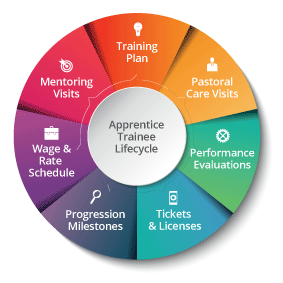 With the application of our apprentice and trainee management system we identify future expenses and incorporate these needs so that they do not affect future training budgets. This combined with the assurance of cost controls related to managing workers compensation claims, LGGT is the smart choice for future proofing employment of apprentices and trainees. “Local government in NSW features an ongoing decline in representation of young employees, with only 13.8% aged 30 years or younger compared to 25.2% across all-industries”. I give permission to LGGT to contact me via phone or email in relation to this enquiry.